Hey everyone! 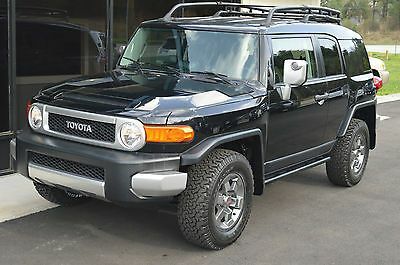 So a few years back I had my own 2007 TRD Special Edition FJ Cruiser and knowing it was a unique vehicle I wanted to do research so I would know everything I could about this rare vehicle. My search led me all over the forums, internet, and yes, even to Wikipedia, just so I could know the details of my model and other Special Edition FJs. Finding that information was inconsistent and scattered I set out to make this information clear and available for everyone to have. I started with rewriting the entire "Variants" section of Wikipedia with credible, correct info. 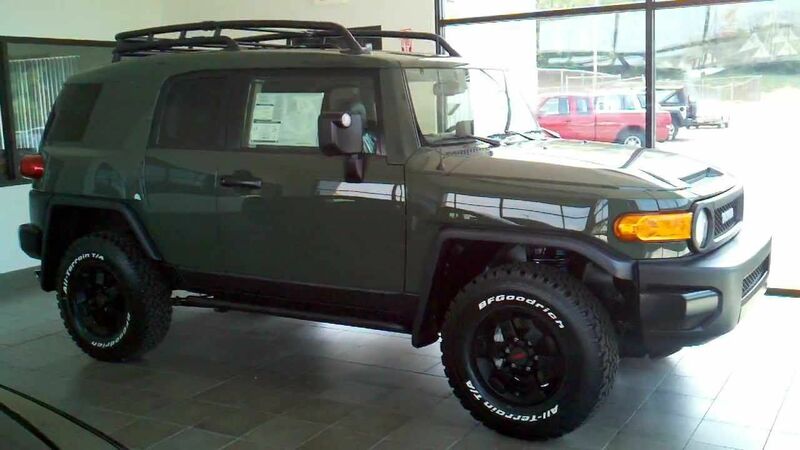 And now I have decided to create this thread as a way of sharing with our forum and everyone out there what the truth is about these Special Edition FJ Cruisers and other rare variants. If by chance any of the following info is faulty or could use more clarification please let me know! I'll edit it right away. Hope this is useful for you and will be an essential resource for TRDSE, TTSE, TTNSSE, and TTUE owners and everybody else wanting to know what the real deal is behind Special Edition FJ Cruisers. When Toyota set out to make the TRD Special Edition, they wanted something that could carry on the TRD legacy and specifically handle any challenge thrown at it, in this case, the Baja 1000. 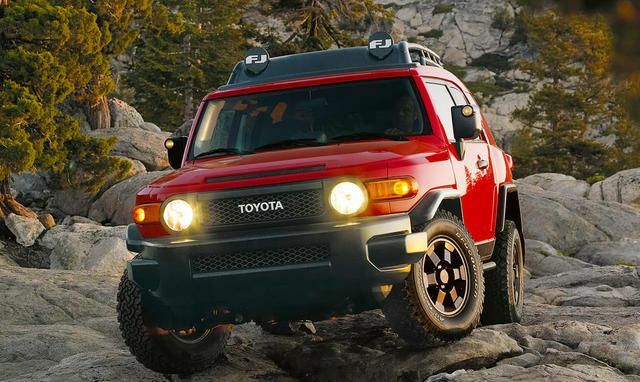 Toyota Racing Development had experienced pro off-roaders and engineering experts like Rod & Ryan Millen, Bruce Hunt, and Joe Bacal work on piecing together and testing what became the TRD Special Edition FJ Cruiser. 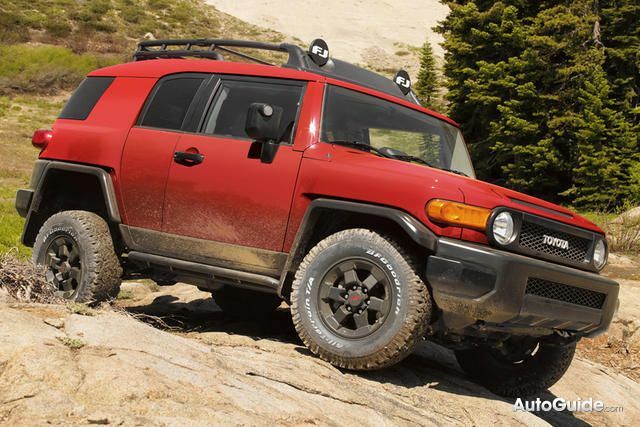 From the specific 46 mm off-road tuned TRD Bilstein shocks to the BFGoodrich All-Terrain tires used on 16" wheels, this FJ was designed to win the race and provide excellent suspension performance on and off the trail to compliment the powerful 4.0L V6 engine. 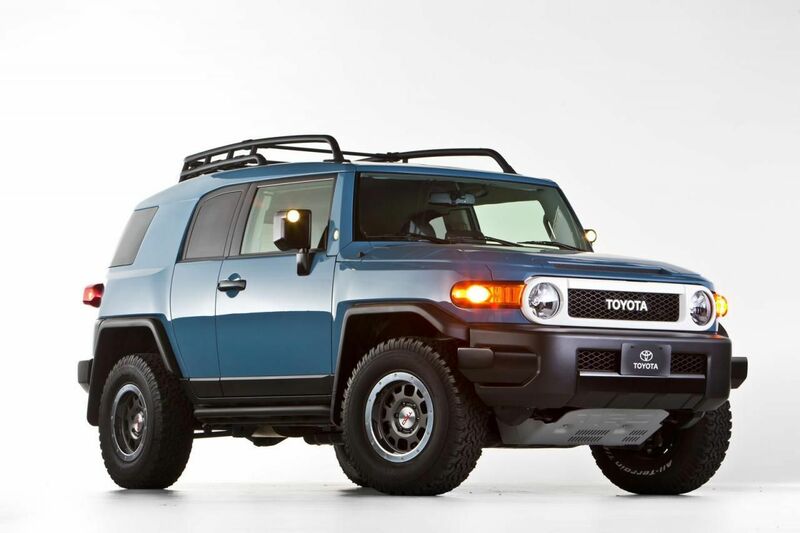 The TRD FJ Cruiser was always fitted with all of the standard bells and whistles offered by Toyota from the multi information display on the dash to the 115V plug in the rear cargo area. 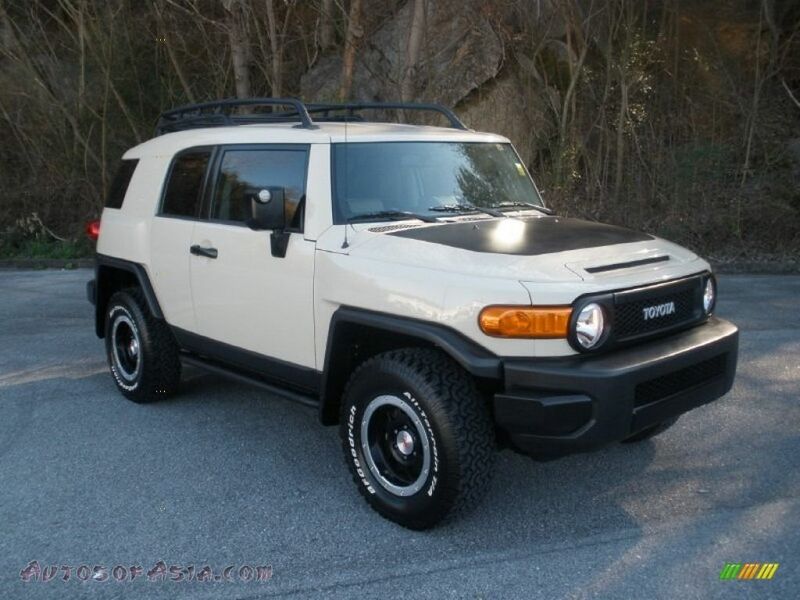 But as a way of making the TRD stand out from the crowd of traditional white-roofed FJs, Toyota made this first Special Edition with a monochromatic color scheme; meaning it had both the body and roof blacked out from the factory in the Black Diamond Pearl paint color. Standard on all TRD Special Editions was the 6-spoke 16"x7.5" TRD aluminum alloy wheel in a gun metal gray painted finish unique to only this model. Having the smaller wheel than the standard 17" alloy wheel used on normal FJs provided the tires with extra sidewall for better off-road performance and shock absorption. 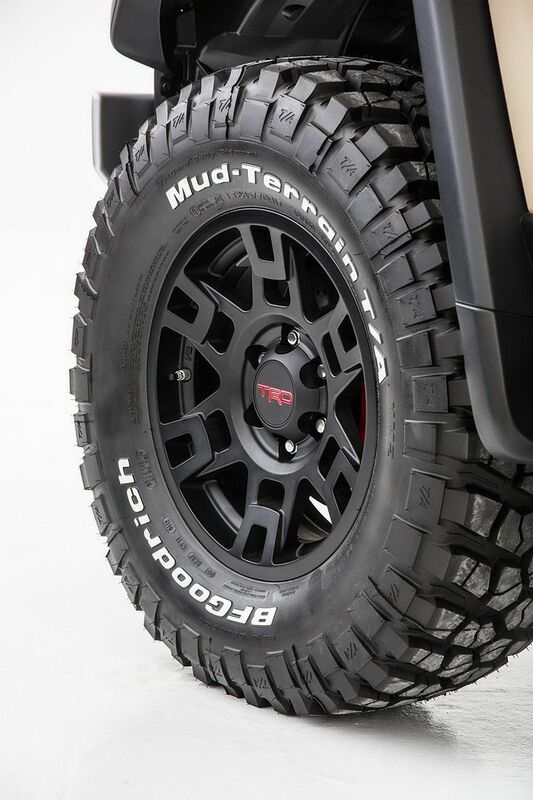 The tires included on this model are the BFGoodrich All-Terrain T/A KO in a 265/75R16 size. 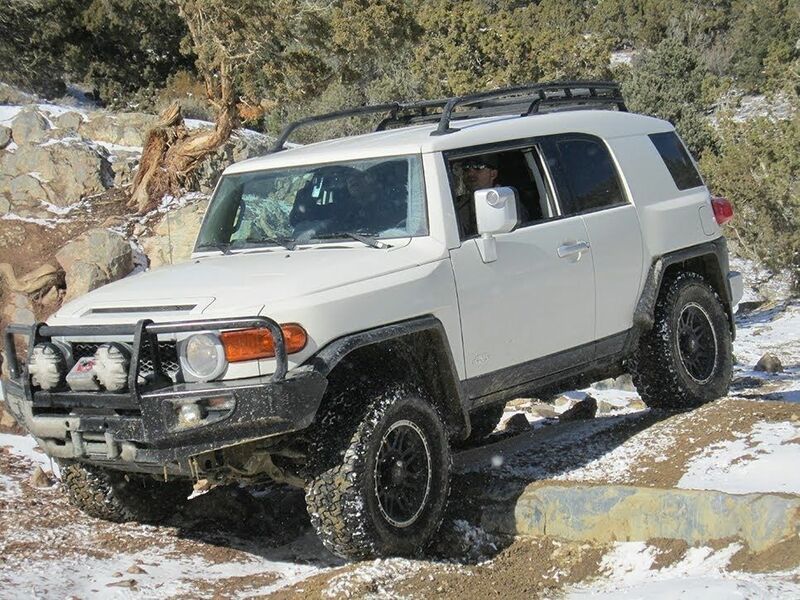 The suspension as mentioned earlier was specifically tuned for off-road driving and was a TRD Bilstein 46 mm shock, perfect for Baja-style driving and handling the FJ's body roll and balance. 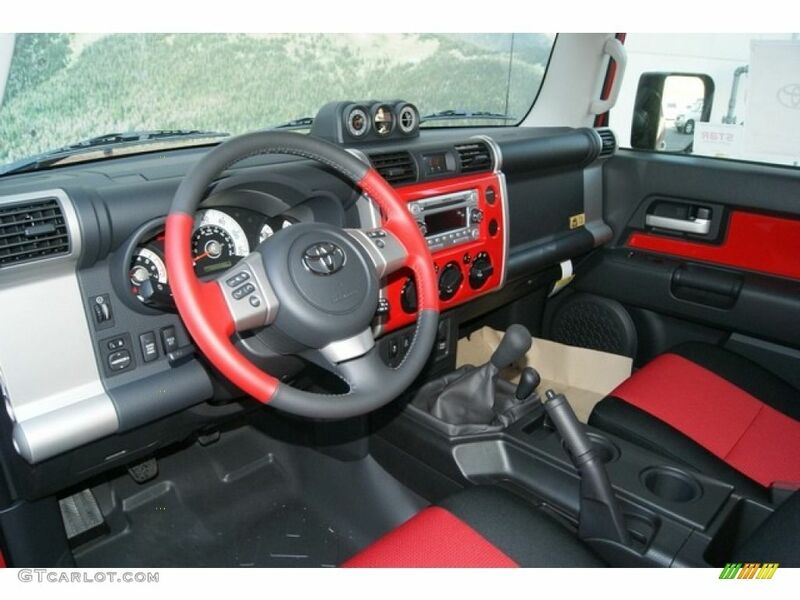 This model was also standard with the factory rock rails, towing package, and for manual models, the TRD Quickshifter. 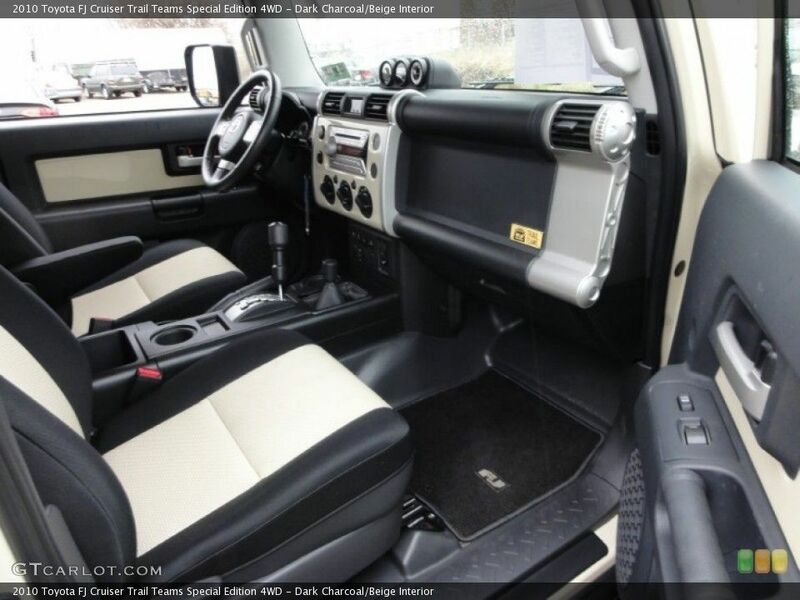 Other features found on the TRD Special Edition include the TRD performance cat-back exhaust system, premium 9-speaker sound system with AM/FM/SAT 6-disk in-dash CD changer (including sub woofer), 5-piece TRDSE all-weather floor mats, and rear locking differential and A-TRAC system to compliment the vehicle's 4-wheel drive prowess. One unique thing that came about with the TRD Special Edition was the synchronization of the rear diff lock and Active-traction control for low 4-wheel drive. Before the TRD the FJ had the issue of the locking rear diff overriding the A-TRAC so you could only use one or the other, but after the TRD's release in November of 2006 all FJ Cruisers were outfitted with this synchronization allowing for the rear diff to be locked while the A-TRAC would work on the front axle. 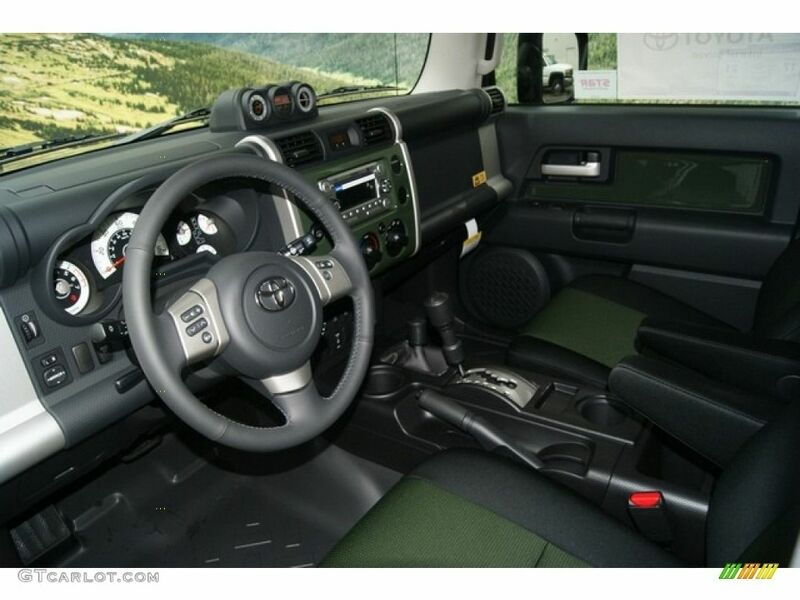 Another item that added to the uniqueness of the TRD Special Edition was the TRD Special Edition badge located above the FJ Cruiser badge on the rear door and also on the passenger's side dash board. (This item is one of the rarest parts to find along with the gun metal gray TRD wheels). These FJs were also fitted with billet aluminum "FJ" door sill enhancements rather than the standard black plastic to protect the bottom of the door sill's paint. 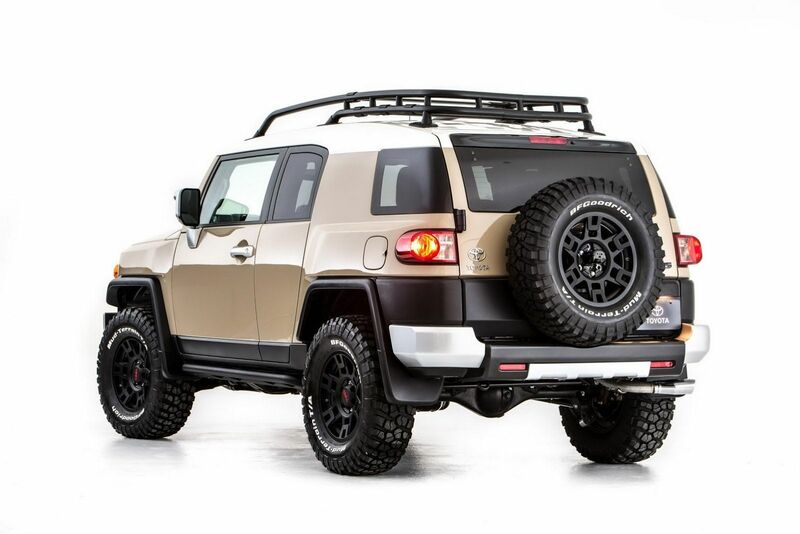 Some TRD FJs came with optional features like the TRD cold-air intake, front aluminum skid plate, front bumper aux lights, brush guard, and the roof air dam with lights. 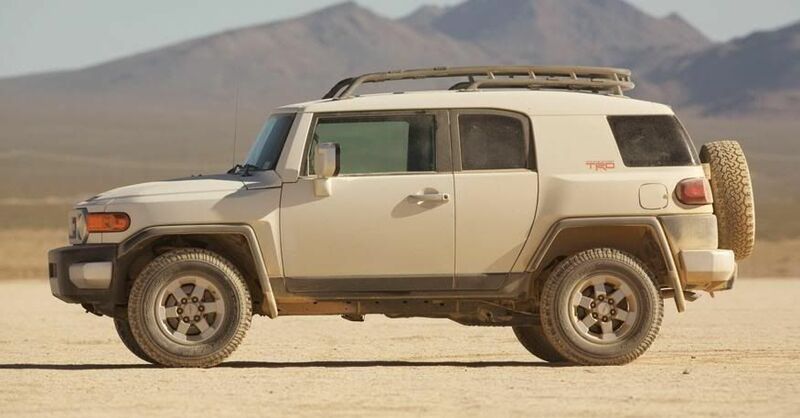 All-in-all Toyota only produced 3,200 TRD Special Edition FJ Cruisers adding to the exclusiveness of this package and starting a legacy of special edition FJs for years to come. 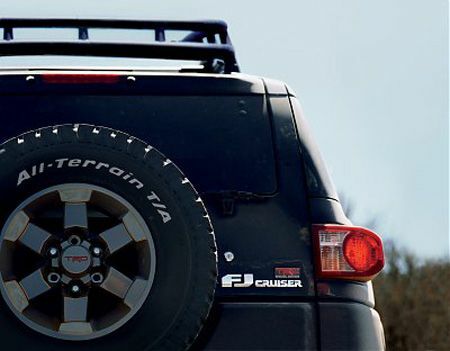 In 2008 as a way to show the world exactly what the FJ Cruiser was made for, and to give a nod to Toyota's Trail Teams across the USA, Toyota created the FJ Cruiser Trail Teams Special Edition. This new special edition was created and renamed to help reinforce that this was a vehicle designed for the trails, designed to tackle the most challenging off-road situations, designed for those looking to get the most of their rig from the factory. 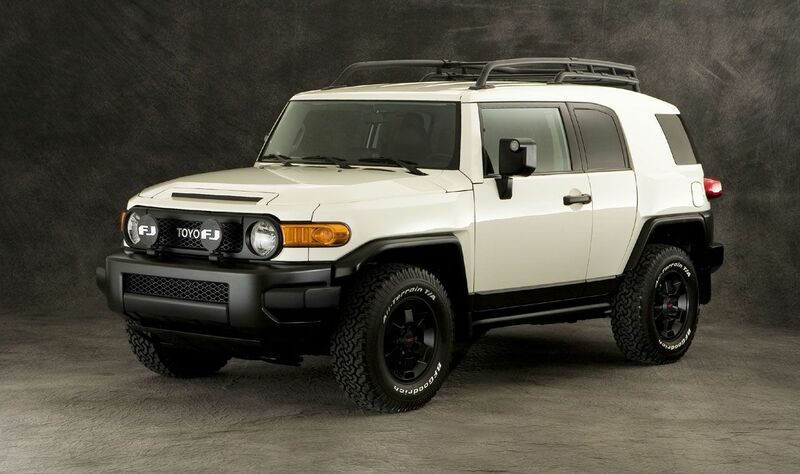 For this model year the Trail Teams Special Edition came in the FJ's Iceburg (white) paint scheme for it's roof and body. 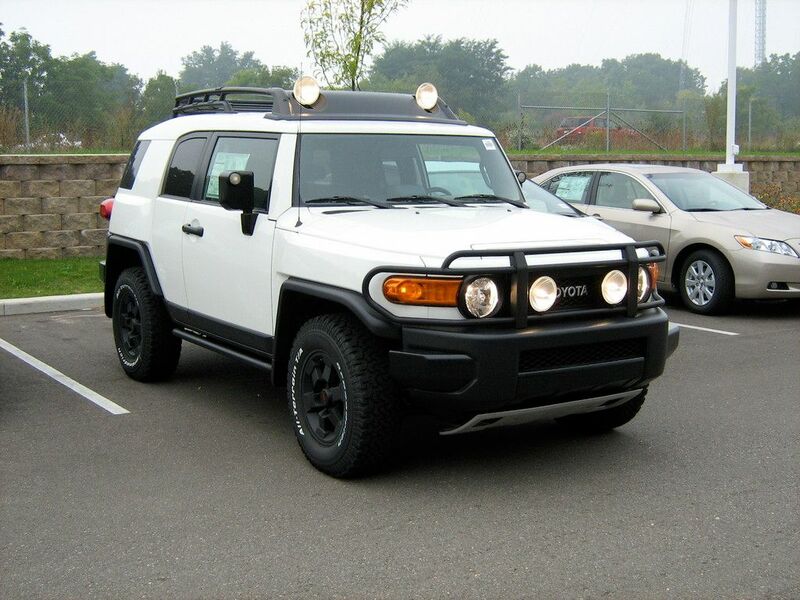 But to again set itself apart from just any other all white FJ Cruiser on the market, this model came with black trim all around from the factory including the grille bezel, bumper caps and wings, front and rear valances, mirrors, and door handles. The wheels and tires on the 2008 TT are the same size as is found on the TRDSE, however the wheels came in a black painted finish rather than the gun metal gray. The suspension was also similar but was tuned slightly differently, or as worded by Toyota, "trail tuned,"so most refer to these as TT Bilsteins (TT meaning in this case either trail tuned or Trail Teams) which are blue and silver in color as opposed to the "off-road tuned" TRD Bilsteins on the TRDSE which are red and blue in color. 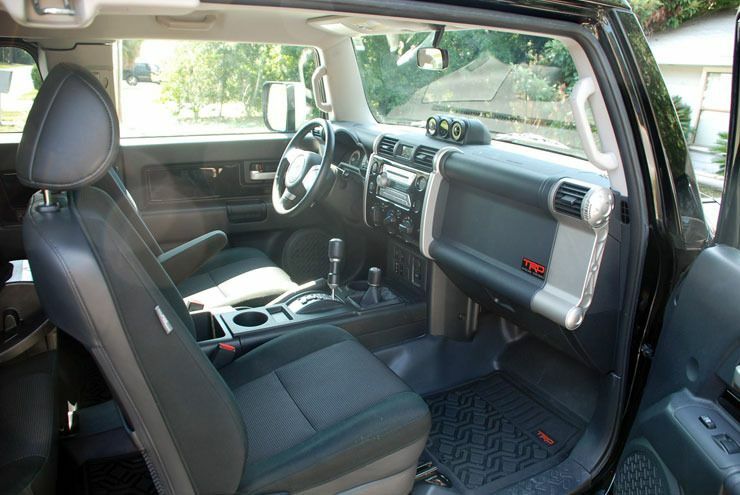 The 2008 Trail Teams was released with the TRD exhaust system, Cyclone air cleaner, rear differential lock and Active Traction Control, and the 5 piece all-weather floor mats with Trail Teams logo. But this Trail Teams had a few standard features not included in the other model years of TT packages; these included the silver aluminum shift knobs, front bumper-mounted aux driving lights, and aluminum rear skid plate (Finding any FJs with the factory rear skid plate is kind of a rarity as their popularity never really caught on). These TTs were also all released with Iceburg color matched interior door trim pieces and a color matched instrument panel which is something that may have gone unnoticed by some with the TRD Special Edition with it's color matched trim simply being black like the TRDSEs exterior. All of the 2008 Trail Teams Special Edition models were manufactured between January 2008 and April 2008. Only 3,200 were made, like the TRD Special Edition, making it a rarity yet the most common of the Trail Teams. Well the truth is there wasn't a Special Edition produced for the 2009 model year. What initially was supposed to be the 2009 TT later became the 2010 TT. It is sort of a mystery as to why this was the case. Even in the 2009 FJ Cruiser brochure from Toyota it discussed the 2009 Trail Teams. But for unknown or unconfirmed reasons Toyota put a hold on things so we don't officially have 2009 Trail Teams Special Edition. However it is worthy to note that for 2009 and some other model years, Toyota released the TRD Package for 2-wheel drive FJ Cruisers. This was a way for 2WD FJs to get a bit more of an edge off-road but the features weren't nearly as extensive as the true special editions. 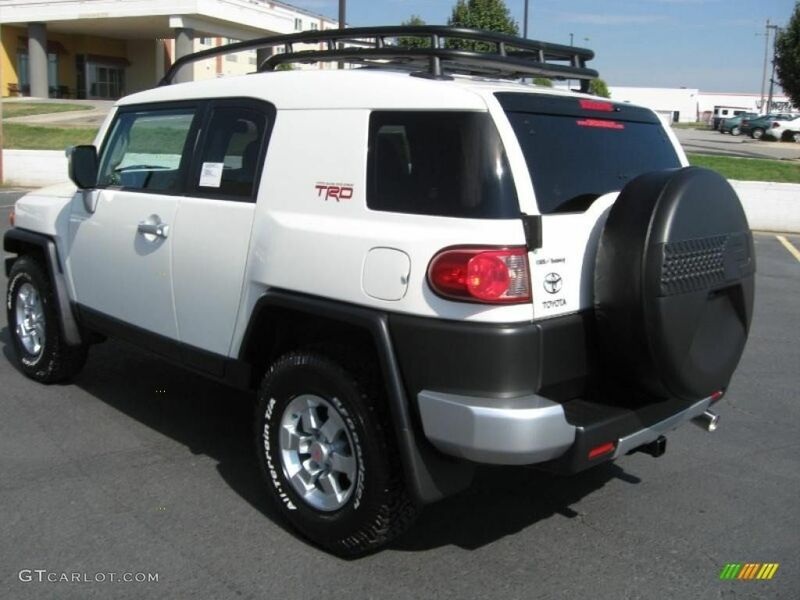 The FJ Cruisers that have the TRD Package are the Iceburg color with the standard silver trim. However they also included the TRD 16" alloy wheels in the silver finish and with 265/75R16 BFGoodrich All-Terrains. These also had a unique TRD sticker which was placed above the rear fenders and they came with high-speed-tuned TRD Bilstein shock absorbers. In later model years this package wasn't exclusive to 2WD FJs and it may have been offered for other colors. But overall there arent many of these in existance and certain details about them are elusive. In 2010 a new Special Edition was released in the monochromatic Sandstorm (beige) color. 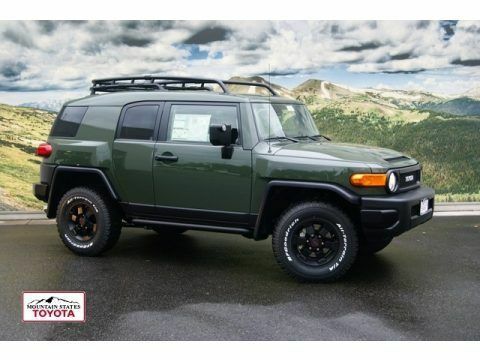 This special edition, like the one before it, was outfitted with the Trail Teams black trim all around, TRD wheels, 265/75R16 BFGoodrich All-Terrain tires, rock rails, and other standard features. One unique thing about the 2010 TT is it came with a hood blackout decal from the factory, its purpose serving as a way to knock down glare from the sun that might make driving more difficult. However it also added a new dimension to the cosmetic look of the vehicle making it more appealing and accenting the black body trim. The TRD wheels used on this TT were of a newer design. Rather than what had been used before, Toyota used the TRD beadlock-style alloy wheels in a black finish. The Trail Teams Special Edition badge was included and located in the same location as the badges on previous Special Editions. For the first time in a special edition, the 2010 debuted not only the exterior color-keyed trim pieces on the interior of the vehicle's doors and instrument panel, but also Sandstorm colored fabric seat inserts which further added to the exclusiveness and appeal of the TT. 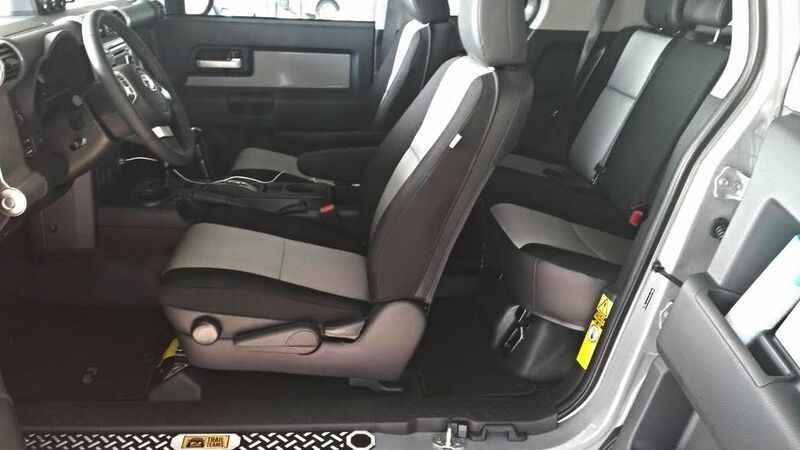 Some of the standard but convenient options included with the 2010 TTSE and others include: a cyclone pre-air cleaner, power side mirrors with illumination markers, auto-dimming inside mirror comes with an integrated backup camera monitor, all-weather floor mats and cargo mat, 12V, 100W and 115V 400W outlets, “floating ball” type multi-information display, remote keyless entry, cruise control, rear privacy glass, rear wiper, AM/FM/6-CD/MP3 stereo with nine speakers and steering wheel audio controls. 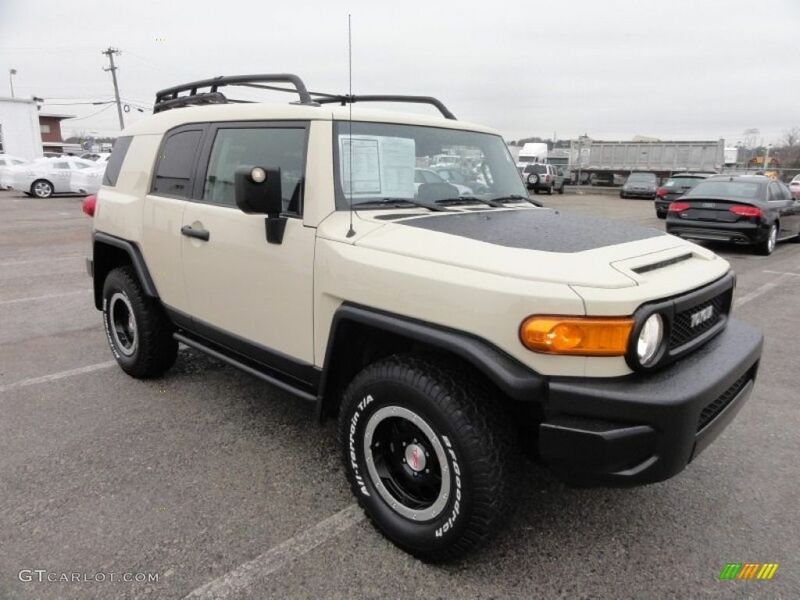 This Trail Teams model is the most rare of the bunch with Toyota only producing 1,500 units. It is debated as to whether or not there was a first and second production run of this model with 1,500 in the 1st run and 1,300 in the 2nd run totaling to 2,800 units but this hasn't ever been confirmed, so we'll stick with 1,500. 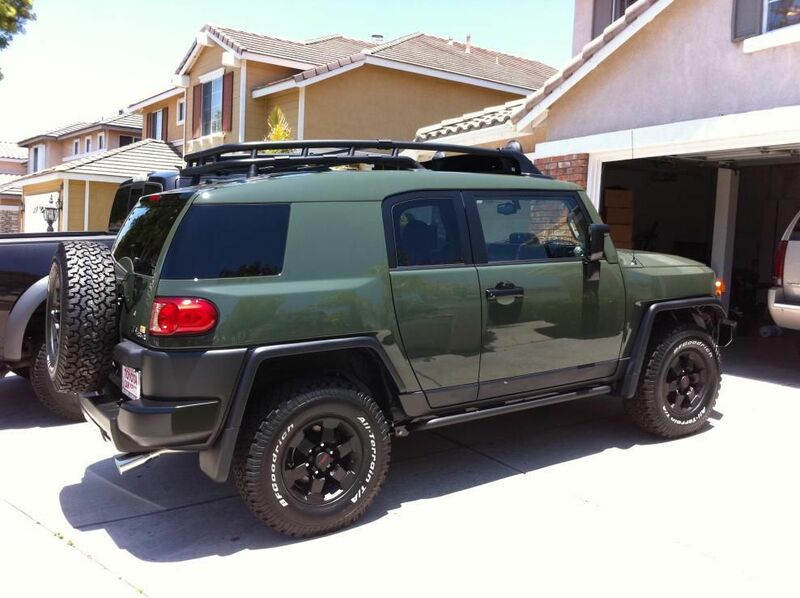 In 2011 Toyota released the Trail Teams Special Edition in their Army Green color. Like those before it the 2011 TTSE had black trim pieces and a monochromatic color scheme. Again Toyota used green fabric inserts for the seats to compliment the exterior color as well as color matched door inserts. 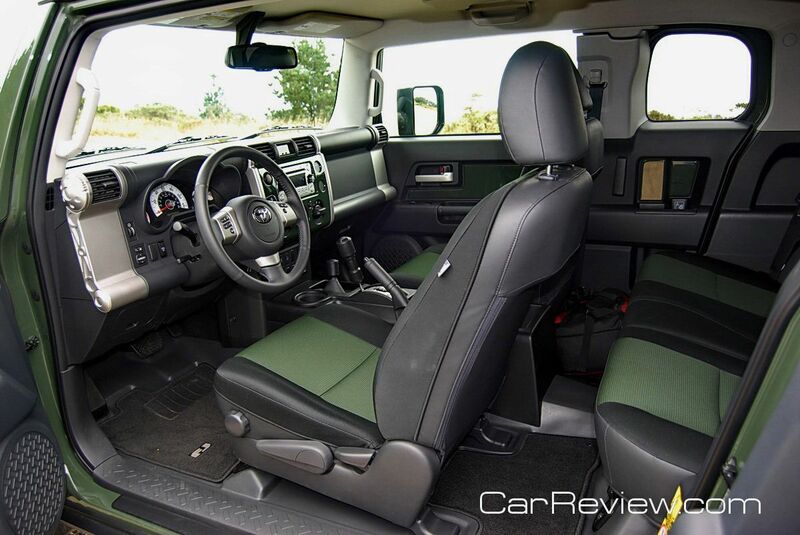 Rock rails, trail-tuned Bilsteins, TRD 16" alloy wheels, and BFG All-Terrains were again found on this model year. Toyota included the same TRD wheels in a black finish used on the 2008 TTSE rather than continue the beadlock style wheels. This model included the rear differential locker, Active Traction Control (A-TRAC), multi informational dash display, leather trimmed steering wheel, wheel locks, backup camera, rear wiper, privacy glass, and more features commonly put into other TTs. But in 2011 Toyota introduced the new JBL sound system for FJs and Trail Teams got the full treatment which featured an AM/FM/6-CD/MP3/WMA player and a whopping eleven speakers in seven locations. Only 2,500 of the 2011 Trail Teams Special Editions were made setting the standard amount of units produced for all Trail Teams to come. .bg., ASWH1, KathyL and 7 others like this. Last edited by FJX2000; 01-09-2019 at 11:54 AM. It would be unfair to write this and not include the ultra-rare Trail Teams "Not So Special Edition." 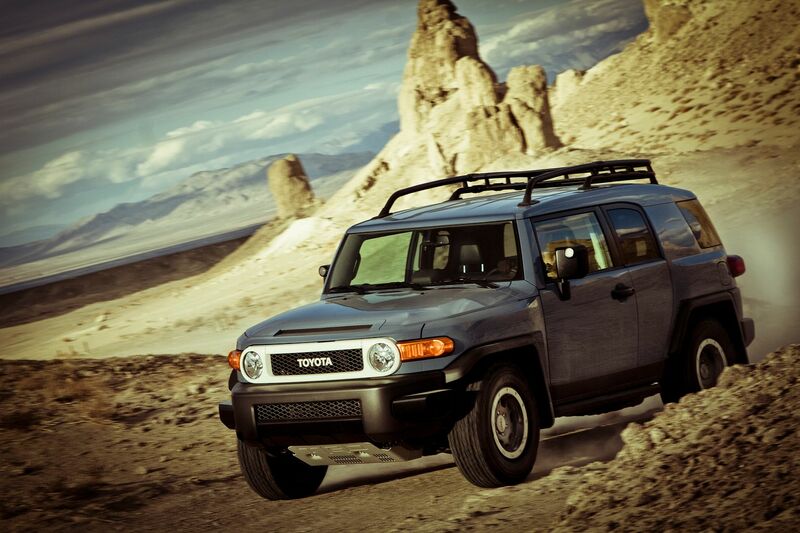 In 2011 some of the first Trail Teams FJ Cruisers that left Japan were "incomplete." These models only had some of the Trail Teams Special Edition features but not everything to be a true special edition. Because these incomplete TTs made it to the US, Toyota decided to label these models as Upgrade Package #3 which sported certain 2011 TT components including the Army Green paint job for the body and roof, the black out trim pieces, the color matched interior including fabric seat inserts, and many other convenience features including the JBL sound system, cruise control, power mirrors, etc. But what the Not So Special Edition lacked was the TRD wheels and BFG KO tires, Trail Teams badges, the TT shocks, the roof rack, floating ball multi-information display, 115V/400 watt rear AC power outlet, and rock rails. So if you are trying to become an expert at special edition spotting or are looking to purchase an FJ, be sure to make note of this rare model as to not misidentify a true TT from a NSSE. 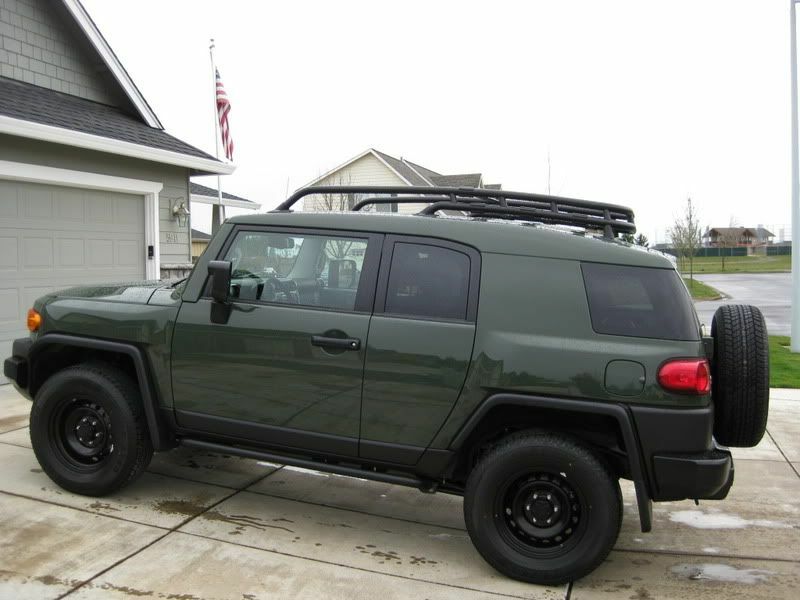 Some people that ordered their FJ Cruiser with Upgrade Package #3 from the dealer would add their own desired OEM features (rock rails, roof rack, TRD wheels, etc.) making these models sometimes difficult to tell apart from actual TTs. The biggest features to look for is the lack of Trail Teams badges and the steel factory wheels. And for what it's worth, it looks like officially, forum member @cdwright22 in post #79 in the thread just mentioned referred to these models as "not so special special editions" and from that Not So Special Edition was born! It seems the number 51 is the number pulled from the message from John Miller, and people just took it and ran with it. Some believe only 51 Upgrade Package #3 FJs were heading specifically to the Denver Region that John Miller was over, so there could be (and very likely is) more NSSEs out there than 51 or 80. Dealers offered the package at a lower price than the TTSEs since they obviously didn't have all the TT options but dealers often added certain options like the roof rack, rock sliders, etc. to the NSSEs to make them more appealing to buyers. And certain people who had ordered the first TTs that ended up being NSSEs were able to either wait for real TTs or they got the NSSEs at their lower price point, though some dealers did as much as they could to make them close to a real TT, except adding certain factory mods like the triple dash cluster or rear AC adapter. 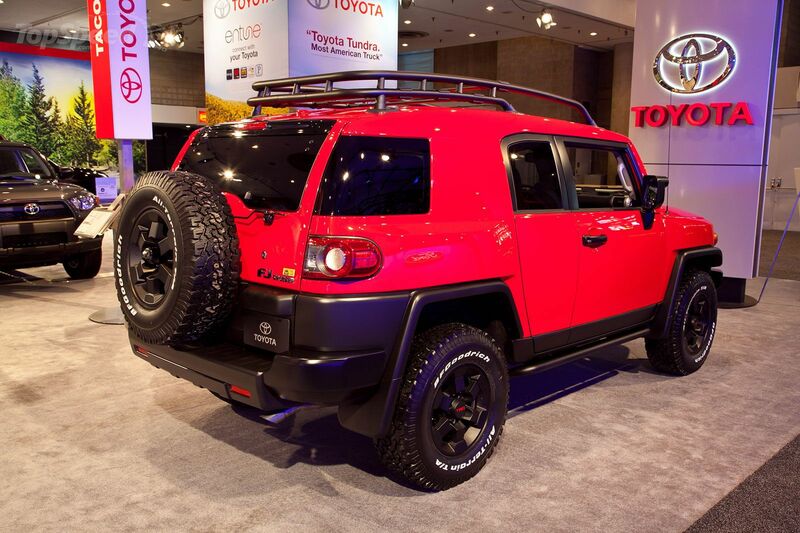 For the 2012 FJ Cruiser model year, the brightly colored Radiant Red Trail Teams Special Edition was released. With the traditional TT all body paint job, black trim, and other features, it made this model highly sought after. For the 2012 TT the TRD 16" 6-spoke alloy wheels with a black finish were used again (same are found on the 2008 and 2011 TTSEs) along with the 265/75R16 BFGoodrich All-Terrain tires. Bilsteins trail-tuned shock absorbers were once again used to provide flawless off-road performance and rock rails, roof rack, and other features were included as with other TTs. The interior again sported exterior color matched inserts for the seats, doors, and instrument panel but for the first time Toyota also included red accents to the TTs leather steering wheel. This accented steering wheel would be the only one ever used for any FJ produced, even in future years this was not included in TT packages. Though it was a change for all FJ models in the 2012 year, I will note that the rear brake lights were changed on this model to a new design. Though they appear to be similar to the Tacoma's LED tail lights they remain on the FJ to include regular light bulbs. Sorry to repeat myself with basically all these TTs but on the 2012 TT you can find the Trail Teams badges, all-weather floor mats, the rear AC power outlet, the triple gauge cluster on the dash, the auto-dimming rear view mirror, the side mirror with illuminated markers, and rear locker and A-TRAC. 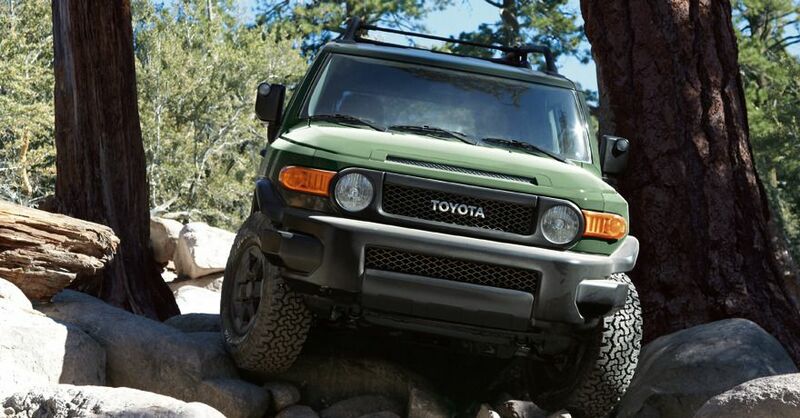 Only 2,500 of the 2012 TTSEs were made again continuing the legacy of Toyota's most off-road ready model. In 2013 Toyota released another Trail Teams Special Edition but this year in the new Cement Grey color. This TT sported the Cement Grey in a monochromatic paint scheme as other TTSEs do and with the black trim for the bumpers, mirrors, and door handles. Toyota decided to use the 16" TRD beadlock style wheels in black (the same as the 2010 TTs) and wrapped them with, you guessed it, the BFGoodrich All-Terrain tire. We again see that the Bilstein trail-tuned shocks were used for the 2013 TT and that everyone's favorite features would be included again such as the cyclone pre-air cleaner, multi-informational display, AC rear power outlet, A-TRAC and rear differential lock for Low 4WD. However a new addition for the 2013 model year Off-Road Package and Trail Teams Special Edition Package was Toyota's Crawl Control (CRAWL). 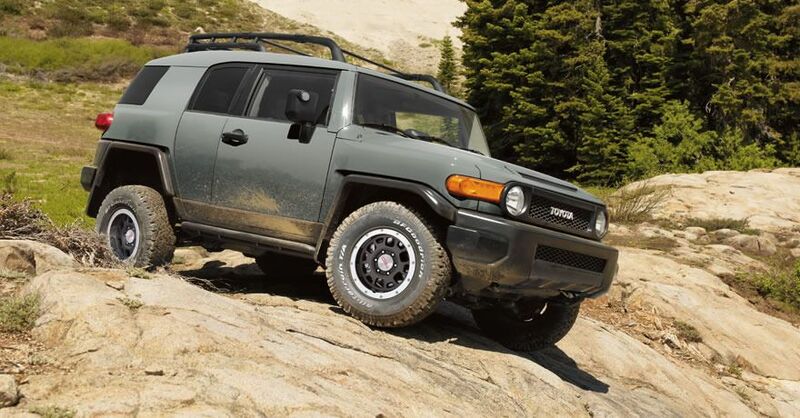 This feature was only included on automatic transmission FJ Cruisers but the Crawl Control had been previously used on other 4-wheel drive vehicles from Toyota and Lexus to enhance their off-road capabilities, thus making it a logical addition for the FJ. Exterior color matched accents for the doors, instrument panel, and seats were included on the 2013 TT and all standard TT features were included. 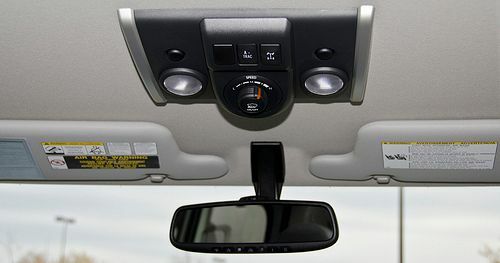 Other unique 2013 TT features include black aluminum shifter knobs rather than the traditional plastic knobs used for regular models or previous TTs and a Trail Teams aluminum door sill protectors. 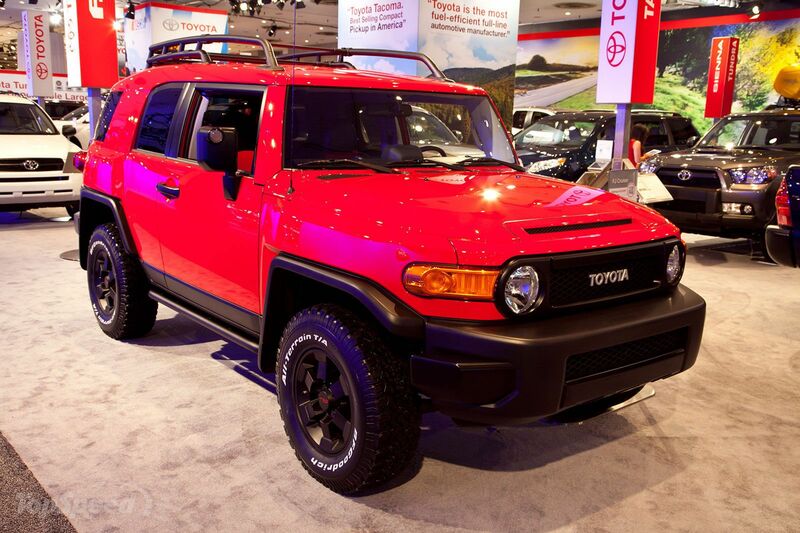 Again, only 2,500 of the 2013 Trail Teams FJ Cruisers were made. The Ultimate Edition included the standard interior features such as keyless remote entry, multi-informational dash gauges, a rear 115V/400W AC power outlet, cruise control, leather trimmed steering wheel, rear wiper, privacy glass,Bluetooth, and more; but the TTUE also introduced some new, one-of-a-kind features. For one, the Ultimate Edition included a special 1/4 inch thick aluminum TRD skid plate to provide maximum protection while retaining maximum approach angle clearance. Another upgrade included all new TRD-tuned Bilstein shocks that were designed to increase articulation and provide added high-speed stability for off-road terrain. The front suspension on the TTUE has standard style 60 mm shocks but the 50 mm rear shocks are fitted with remote oil reservoirs for larger oil capacity to decrease damping fade when used in very rigorous situations. 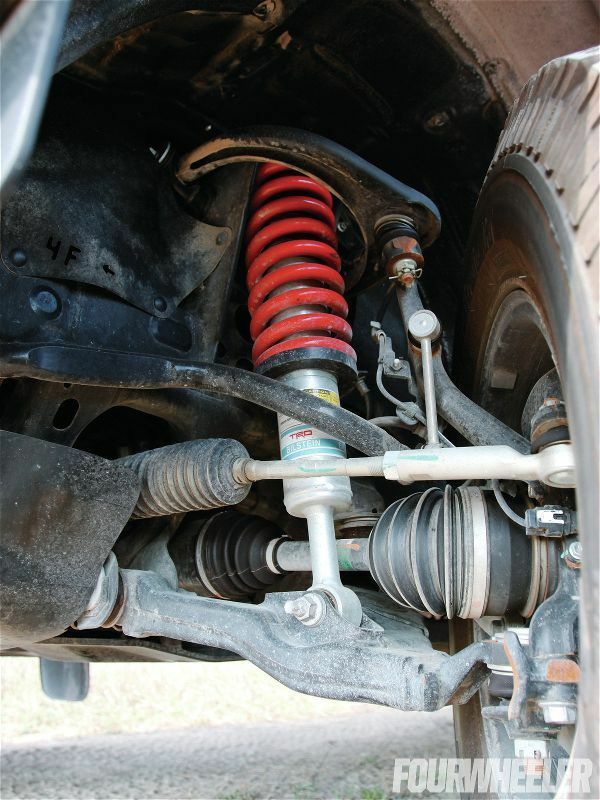 Toyota also employs larger, red TRD race coil springs in the front suspension to level out the front end of the Ultimate Edition for an improved approach angle. The Ultimate Edition, like the 2013 and 2010 Special Editions, has TRD's beadlock style 16" alloy wheels but in a new grey finish (the only Toyota model to use this specific wheel). These are wrapped with 265/75R16 BFGoodrich AT tires like all other special editions. The Ultimate Edition includes the traditional TT badge on the rear door but then also has a special aluminum badge for the dash that states "Ultimate Edition: Limited Production One of 2,500". 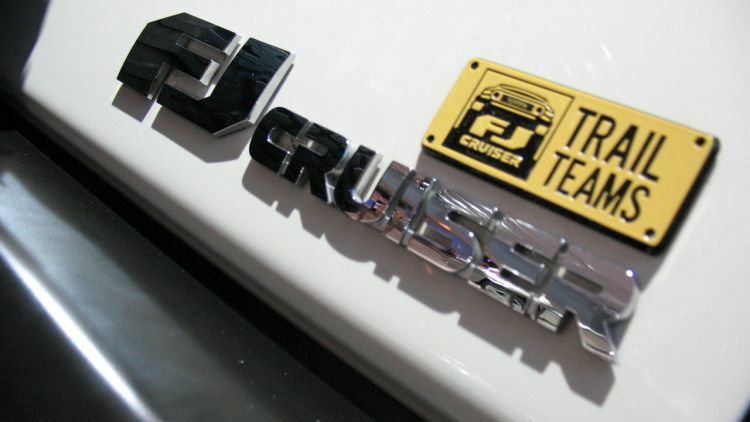 Too bad similar badges weren't included with the other Special Edition FJs since they too are limited production, some even less in production like the 2010 TT. As far as the interior color accents go, the TTUE is slightly different from other TTSEs. The TTUE includes black trim in the door panels but then silver trim around the instrument panel and silver inserts in the seats. (The prototype TTUE had Heritage Blue color matched instrument panel and door inserts.) 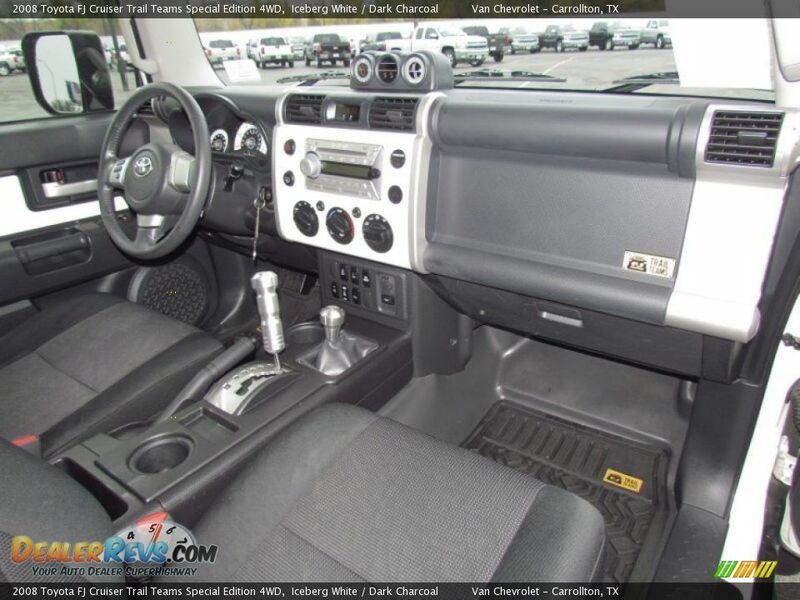 For automatic transmission FJs the TTUE includes the Crawl Control first seen on the 2013 TT and of course has the electronic locking rear differential and A-TRAC. 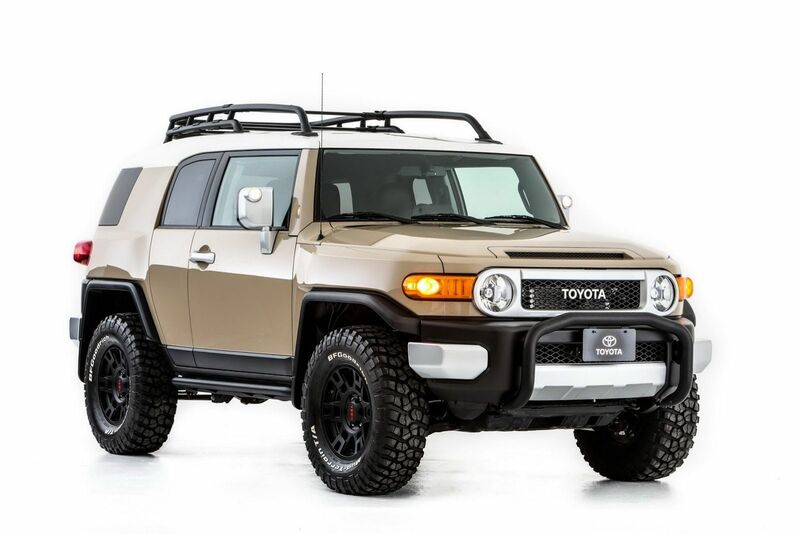 As already stated only 2,500 of these unique Trail Teams Ultimate Editions were produced and thus ended the grand heritage of special editions and Toyota's FJ Cruiser. BIGGUY, gaylonw, enovey and 20 others like this. Last edited by FJX2000; 05-09-2018 at 04:31 PM. I also figured I would add two other FJ Cruiser variants even though one is not an official special edition and the other is only a concept vehicle. 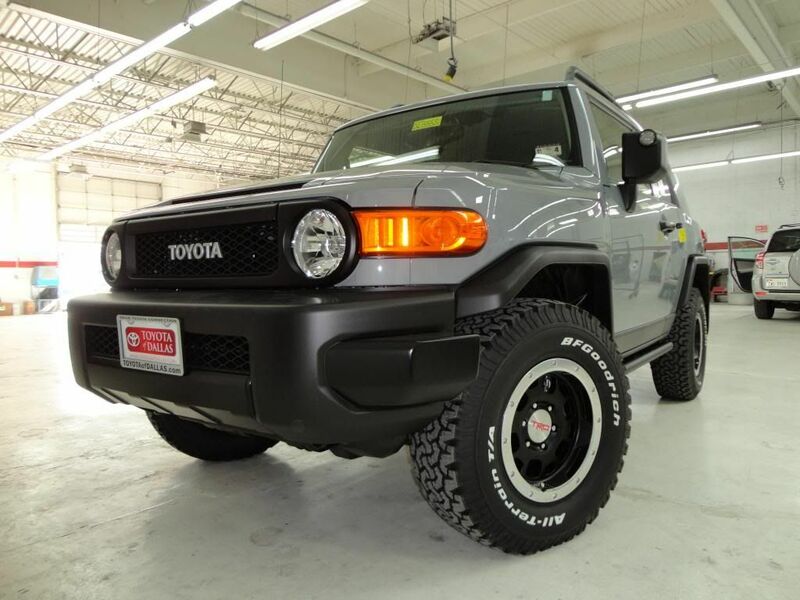 The FJ Crawler was first offered in 2007 (for the 2008 model year) and is the result of a collaboration between Dealer Services International (DSI), known for building high quality custom packages for new vehicle dealers, and ARB, who has a long history building rugged off-road products. 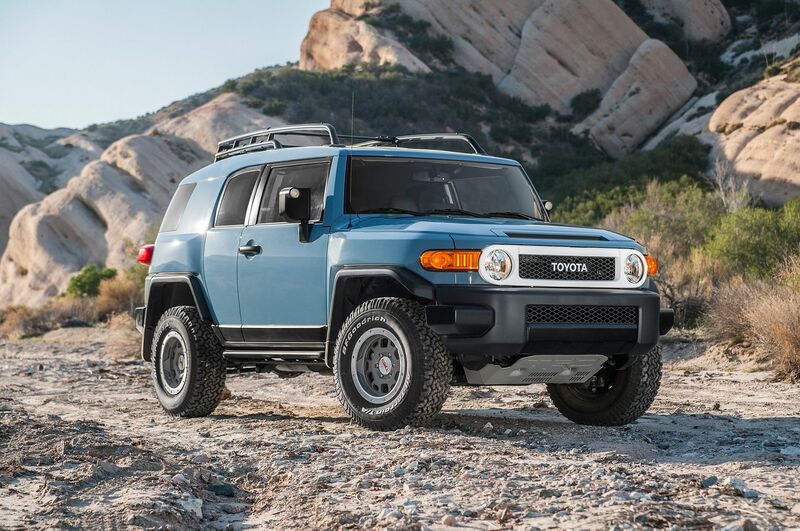 For participating Toyota vehicle dealerships, the FJ Crawler could be special ordered for customers who were looking for a vehicle that is even more rugged and off-road ready than a standard Off-Road Package or Trail Teams Special Edition could provide. 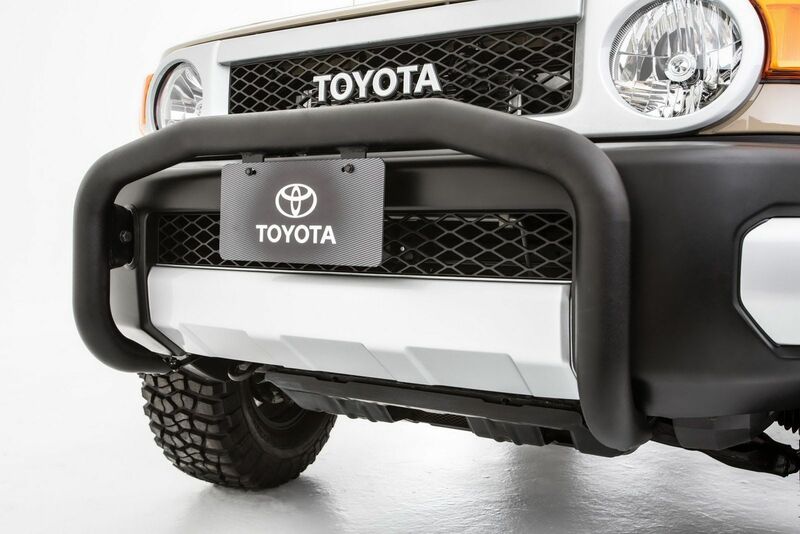 The FJ Crawler package included an ARB Front Bull Bar Bumper, an Old Man Emu 3 inch suspension lift to support the added weight of the ARB bumper and to allow for the 17 inch Pro Comp wheels with either 33 or 35 inch off-roading tires. 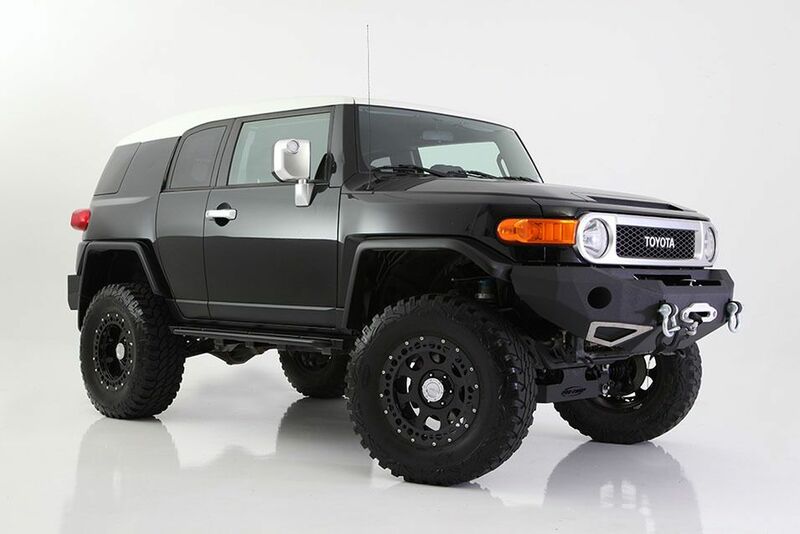 The FJ Crawler was able to be customized in many ways with many optional accessories to achieve the customer's satisfaction. 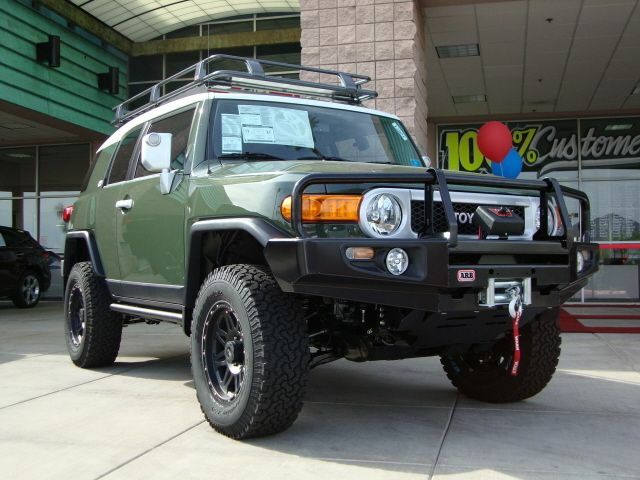 For example, the FJ Crawler could be ordered in any factory color for the current model year. The customer could choose from 3 different wheel choices, 3 different tire choices, and could even choose the exact springs and shocks used in the Old Man Emu suspension to achieve the desired ride/performance quality. There was also the option of adding accessories such as a Warn winch and IFP driving lights which would be mounted to the ARB bumper, a fog light kit for the ARB bumper, and an ARB roof rack for storing gear and other items on top of the FJ. Other options included a cat-back exhaust system, a high flow intake, as well as side steps. Also, because of variances in aftermarket tire sizes, speedometer calibration was provided to ensure correct vehicle speed and mileage are recorded. Special FJ Crawler badges were added to these FJs. For the earliest models they used an ARB Badge on both the rear door and on the outside bottom corner of the driver and passenger side doors but later switched it to the FJ Crawler badge seen in the pictures. On newer models the same badge could be found right behind the backseat windows on the large "blindspot" column. Slight changes have been made over the years to the FJ Crawler's options but in recent years DSI offers new products for the FJ Crawler as well as their own separate "Performance Package" including a selection of Pro Comp 5" lift kits, 35 inch Pro Comp off-road tires, LRG or Pro Comp alloy wheels, Smittybilt original parts, and other custom accessories that are all selected by the buyer or dealer who orders the vehicle. 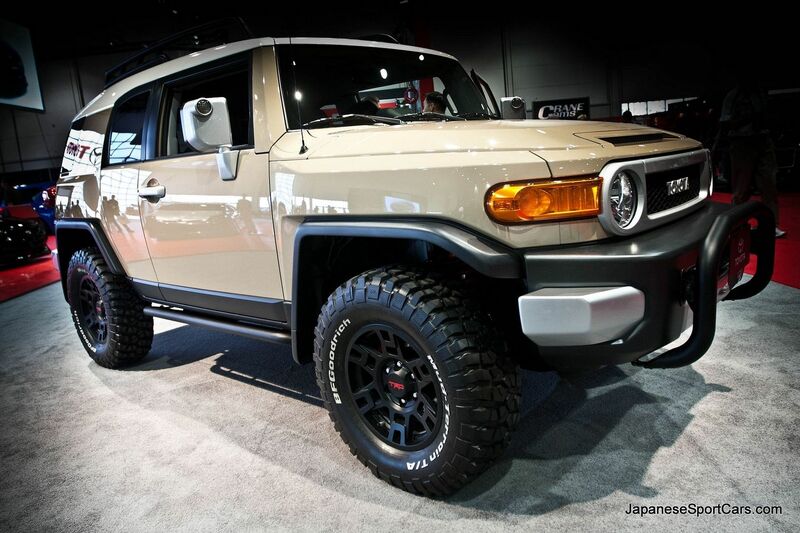 The FJ-S Cruiser Concept, debuted at the 2012 SEMA Auto Show in Las Vegas, NV (and at the 2012 FJ Summit in Ouray, CO) is the creation of Toyota and Toyota Racing Development (TRD) in an effort to create a new style of FJ Cruiser that from its looks, remains fairly similar, but is designed to be even more off-road ready than its standard FJ Cruiser counterparts. The FJ-S Cruiser Concept actually incorporates suspension components from the Baja Series Tacoma and has an upgraded chassis and body structure with the addition of an underbody "exoskeleton" to improve its off-road prowess. According to Toyota, the extra stiffness and strength provided by the exoskeleton creates a more suitable platform for the suspension modifications and wheel upgrades added, which include 60 mm Bilstein racing shocks up front and 50 mm Bilstein racing shocks with remote reservoirs in the rear which produce around 1.3" of lift over stock or achieving a leveled stance. 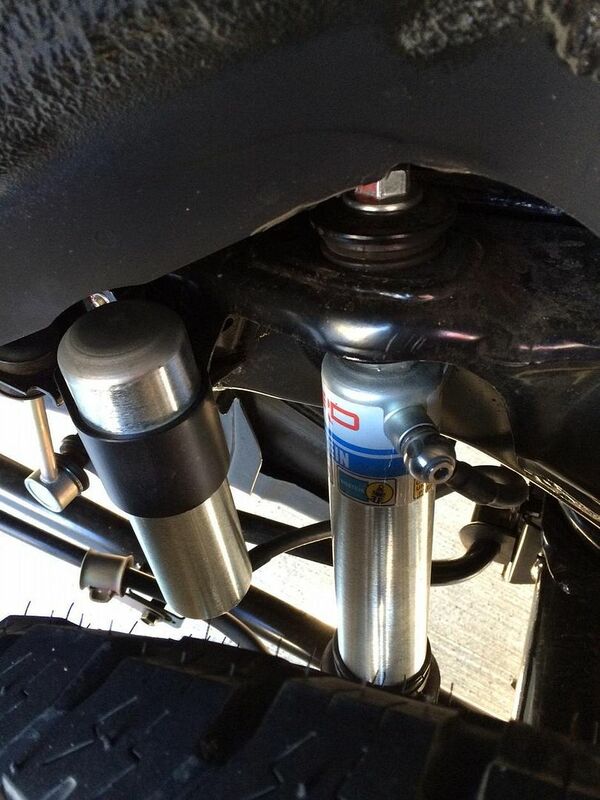 This suspension setup was the same as was found on the Baja Series Tacomas and it was later actually implied on the Trail Teams Ultimate Edition. Also, the FJ-S featured all new TRD 17" wheels in a Midnight Black finish along with 285/70R17 BFGoodrich Mud-Terrain KO2 tires for the most trail-ready setup yet. 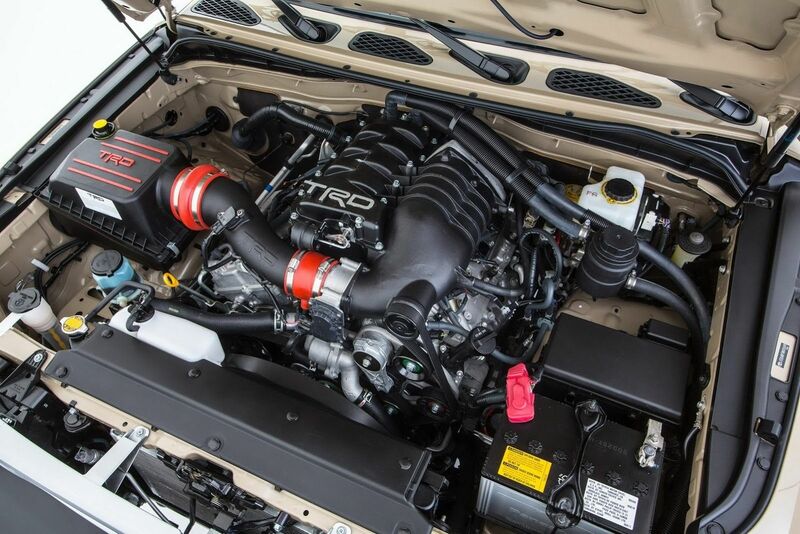 TRD also added their new supercharger with a Twin Vortex System and a large air-to-water intercooler, which brings the engine's output to 345 horsepower and 345 lb/ft of torque. 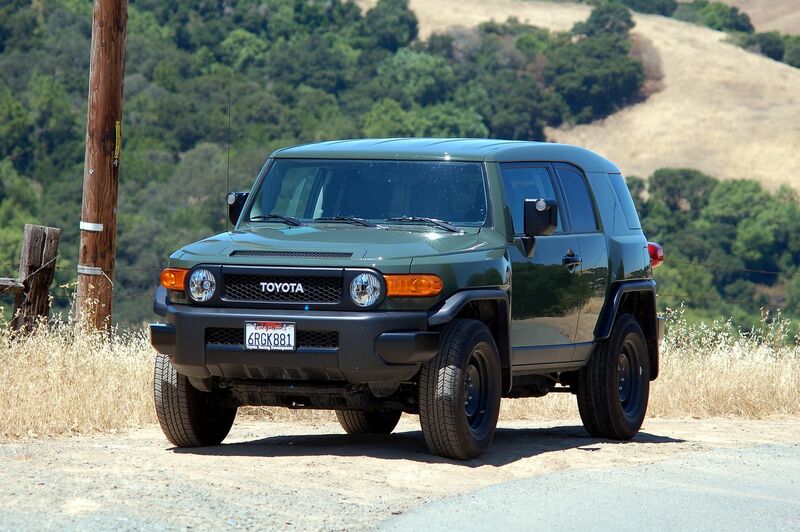 This is a 30% gain in HP and 25% gain in torque over the standard FJ Cruiser model. 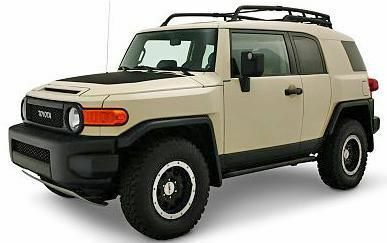 The exterior of the FJ-S Cruiser Concept received other changes/upgrades including a front nudge bar and the same rock rails used on other FJ Cruisers. 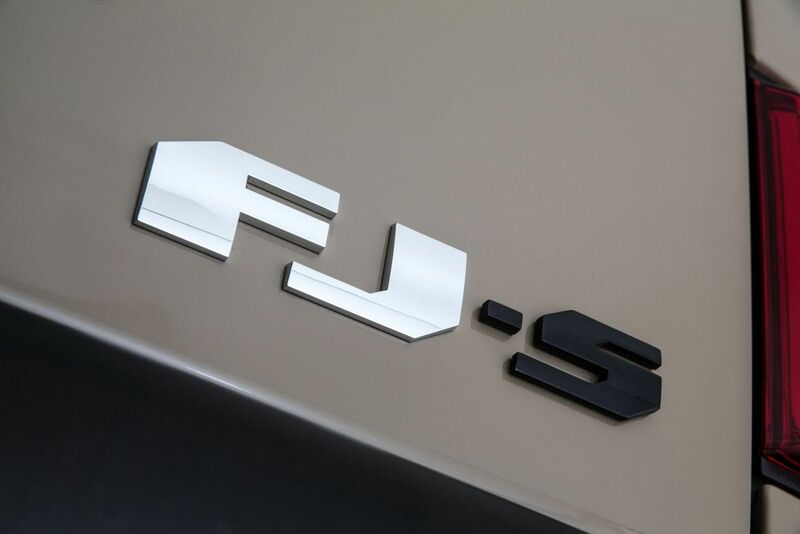 The FJ-S Concept vehicle debuted was a manual transmission so the FJ-S also was equipped with the TRD Quickshifter for max performance along with the TRD Cold-Air Intake and TRD Cat-back Exhaust. 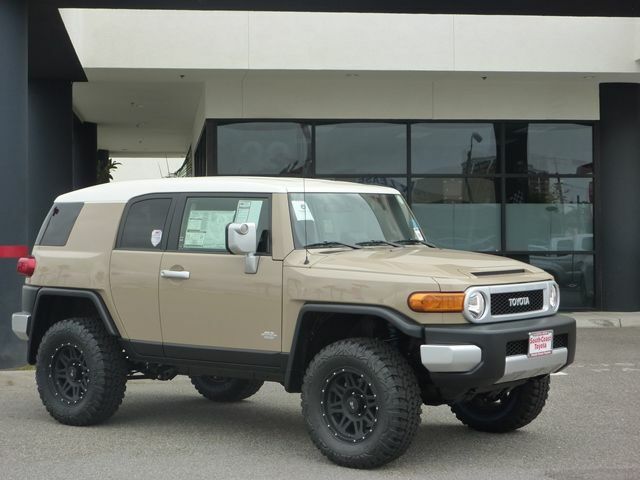 The color Toyota chose for this model is the Quicksand color, but unlike other FJ Special Editions, they kept the white roof as opposed to doing a monochromatic color scheme. 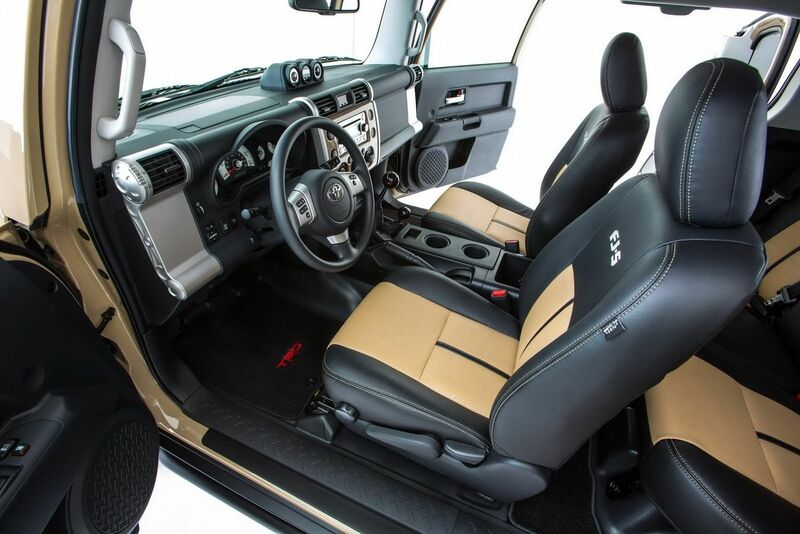 The interior of the FJ-S debuted an all-new two-tone leather seating with the FJ-S logo stitched on the seat-backs along with custom TRD carpet floor mats. 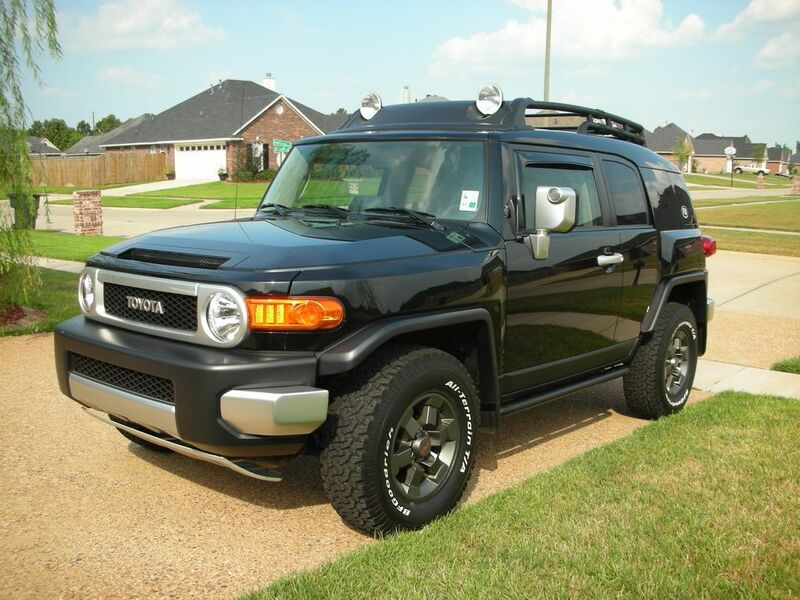 The rear door also sported a black "FJ-S" badge as opposed to the standard chrome "FJ Cruiser" badge. 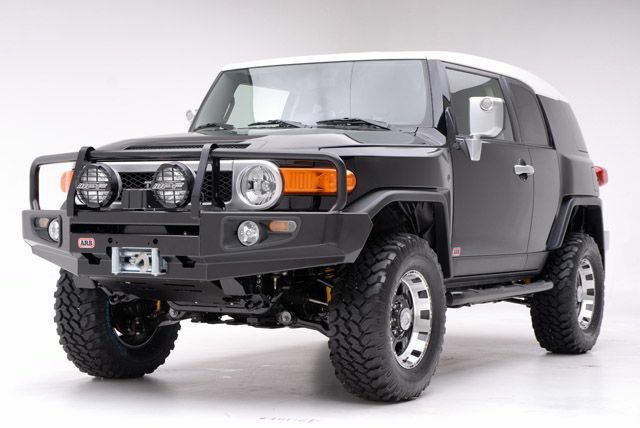 Not much information has been released as far as the chassis and body structure changes go, and Toyota never announced what they planned on doing with the FJ-S Cruiser Concept in the future. 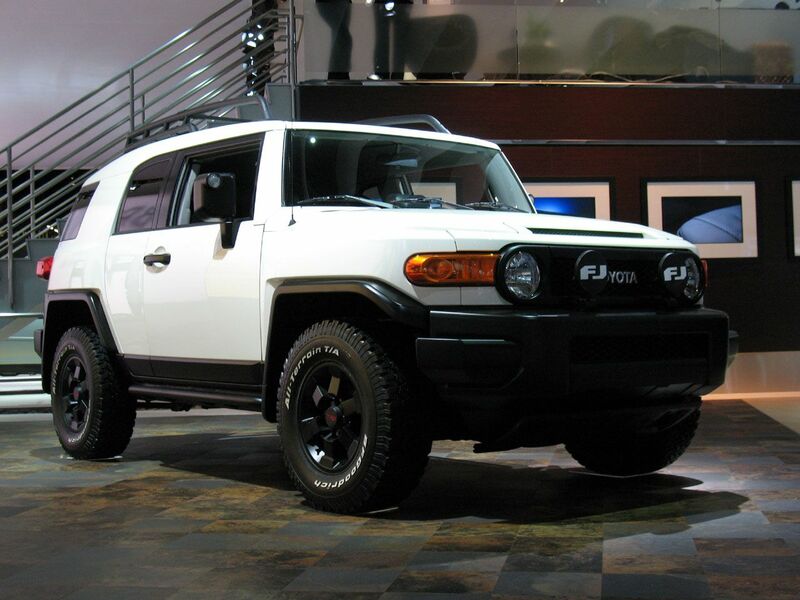 However, new releases from Toyota show that the FJ-S Concept introduced new ideas and features to be used on other models.For example, as already mentioned, the TRD Bilstein shocks with remote reservoirs and TRD-tuned front spring suspension combination was later used on the 2014 Trail Teams Ultimate Edition FJ Cruiser. Another release included Toyota putting the same newly designed TRD Midnight Black alloy wheels used on the FJ-S on the new 2015 & 2016 TRD Pro Series 4Runner. 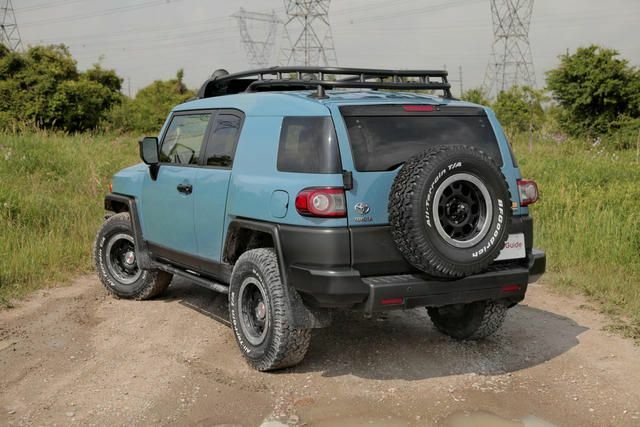 Some FJ Cruiser owners have been known to repaint their FJs and purchase parts to make their own Special Edition replica that may have the matching color, badges, and mods a true Special Edition has, but it is still not a factory Special Edition model. 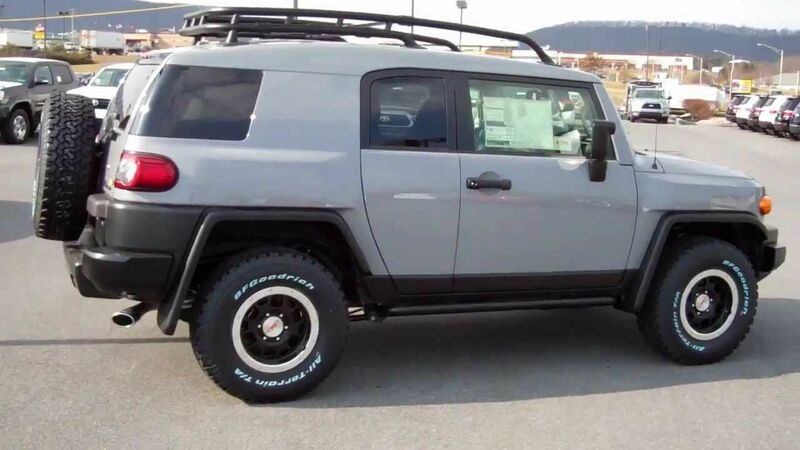 For example, if you had a 2007 Black Diamond Pearl FJ Cruiser and you painted the roof from white to a matching black color, installed the TRD Bilstein suspension, gunmetal grey TRD wheels with BFG All-Terrain tires, and got TRD Special Edition badges and floor mats among other things, you'd basically have yourself a TRD Special Edition. 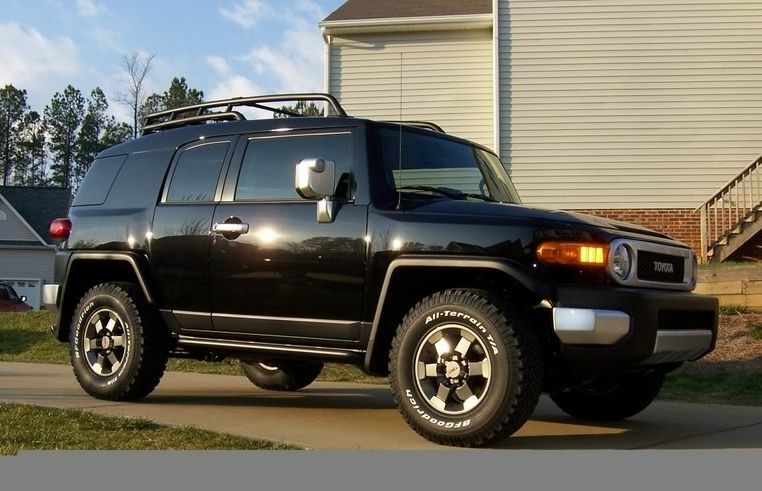 But to be able to tell if your FJ is a genuine TRD or Trail Teams Special/Ultimate Edition FJ Cruiser from a false clone, then the key is to check the VIN number and color code which can be found on the door jamb sticker. 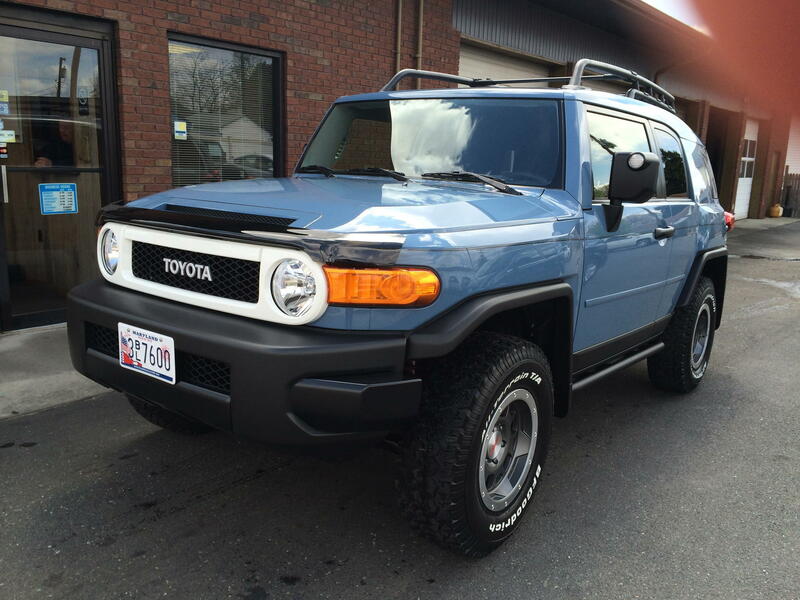 First you want to confirm the year of the FJ Cruiser in question. This is important because a Special Edition clone could be made using a different model year FJ. For example, probably the most common clone I have seen are 2008 Trail Teams Special Edition replicas. 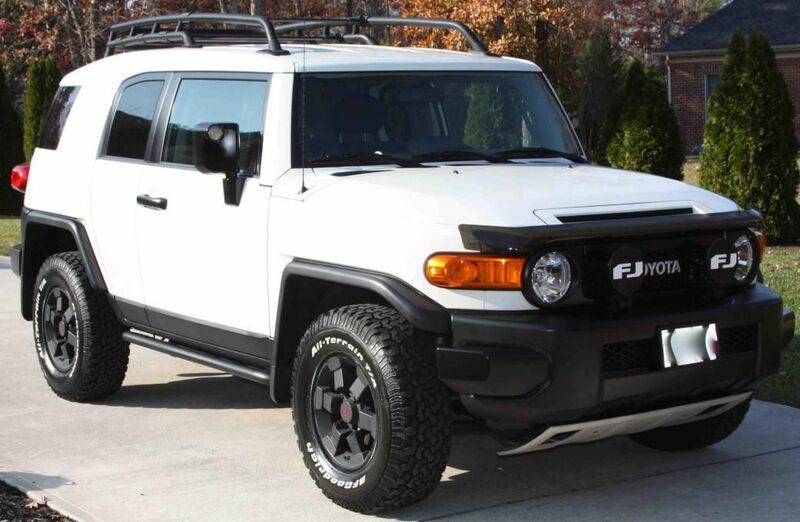 Iceburg white FJ Cruisers are quite common having been produced from 2008 to 2014, however only a true 2008 TTSE would have been made in 2008 rather than any other year. The same is true with a 2010 TTSE. 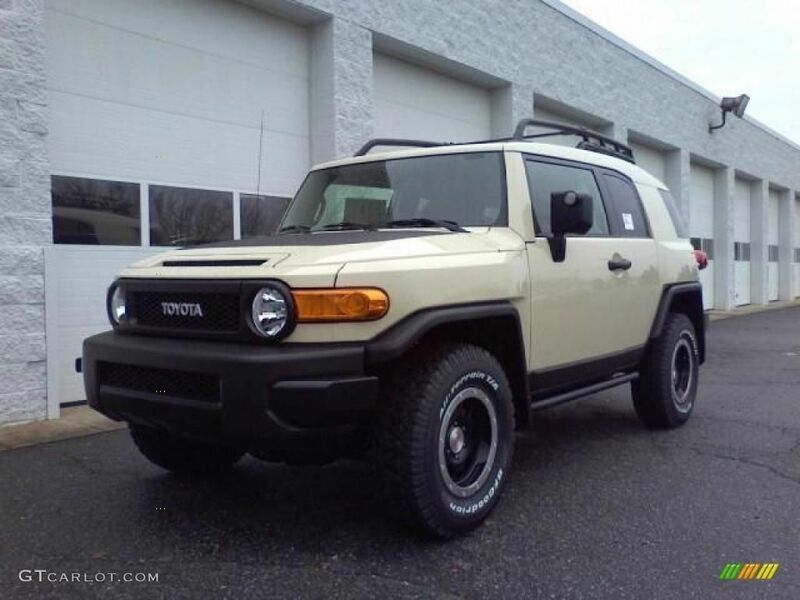 If the roof on a 2008 or 2009 Sandstorm colored FJ was matched to the body color and black trim was added with TRD wheels and such, you'd have a pretty convincing Trail Teams mimic. But the Sandstorm colored Trail Teams was only made in 2010, so checking the year is important. You wont find many clones of 2012 or 2014 Trail Teams FJs since their colors were only used for the Trail Teams models and not for any standard models. 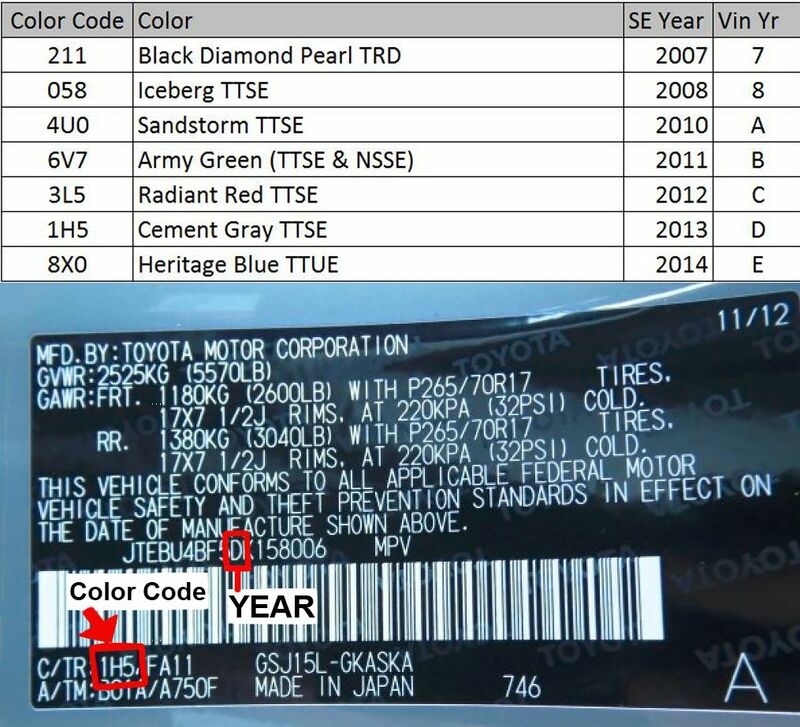 To check your FJ Cruiser's model year using the VIN number, look at the 10th digit in the code. This may be either a number or a letter so don't let that throw you off. Below this paragraph I will post a guide provided from boilermaker that will say what the model year is depending on that 10th digit letter or number. Also provided are the color codes but I will discuss those in more depth below the images. 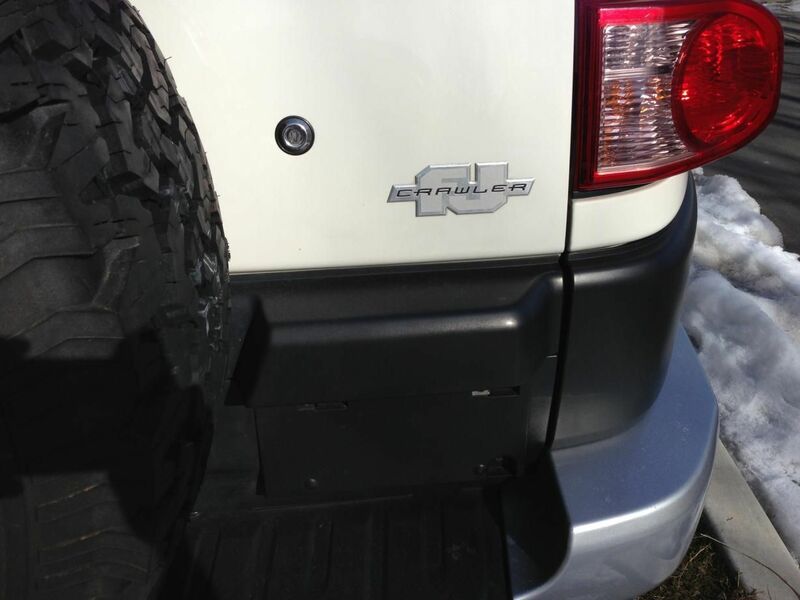 The door jamb sticker pictured is that of a 2013 Trail Teams Special Edition which can be determined from the "D" as the 10th digit indicating it is a 2013 model year FJ and the color code is "1H5" indicating it is Cement Grey as found in a 2013 TTSE. The next thing to check is the FJ Cruiser's color code. If you view the FJ Cruiser's door jamb barcode sticker you can find this color code in the bottom, left-hand corner after the letters that say: "C/TR". The image above has a guide giving the 3-digit code that will indicate the vehicle's color. It is worthy to note that the color codes are all specific to Trail Teams except for the 2008 TTSE. 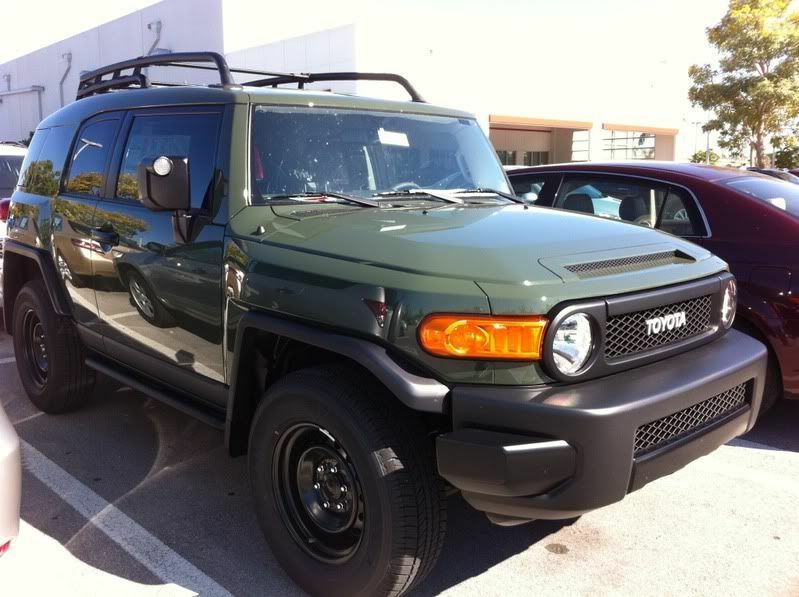 Meaning, for example, that a 2011 TTSE/NSSE that is Army Green (6V7), has a color code that is different than a traditional Army Green colored FJ with a white roof (2KD). 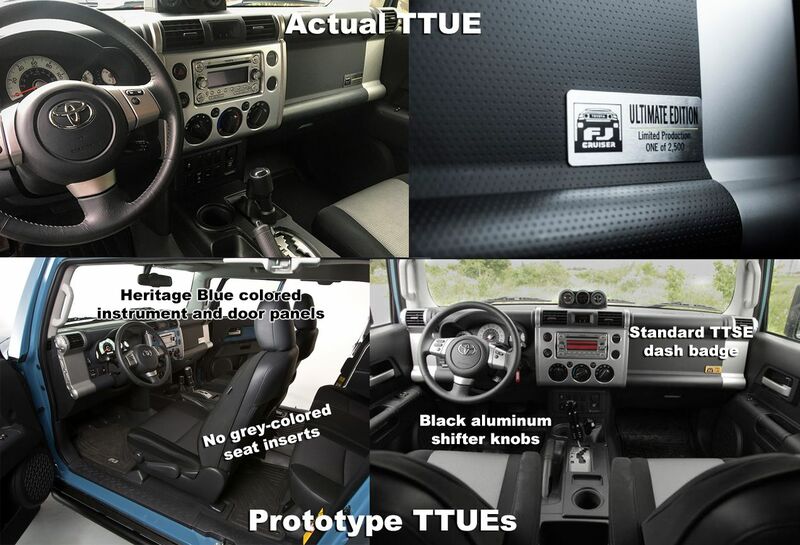 Hopefully this guide helps those looking to determine if their Special Edition FJ Cruisers are TRUELY factory-made, limited production TRD/Trail Teams Special Editions rather than convincing replicas or look-a-likes. BIGGUY, rsrd, gaylonw and 13 others like this. Last edited by FJX2000; 11-04-2016 at 10:03 AM. Great to know the evolution of sort of our FJs, and how one's rig fit within a historical framework in mind. Good read. Thanks for sharing. For a newb like me, that's great info. Thanks. List price on each year would be handy as well as I search for my truck. I don't own a 2014 TTUE, but when I purchased that grill for my Red TT, the TOYOTA logo was still silver, not white. Can anyone with a TTUE confirm this, or did I get duped? I think the 07 TRD wheels are still my favorite... I have a set of those and also the 08 black TRD wheels, trying to decide which to put on the 2014 FJ and which to put on the 2016 Tacoma. rsrd, jjsmitty, surfermark007 and 1 others like this.